Comfortable house. Possibility 5 people max enclosed garden with trees. 8 km from the Dordogne Valley and 14 km from Beaulieu. 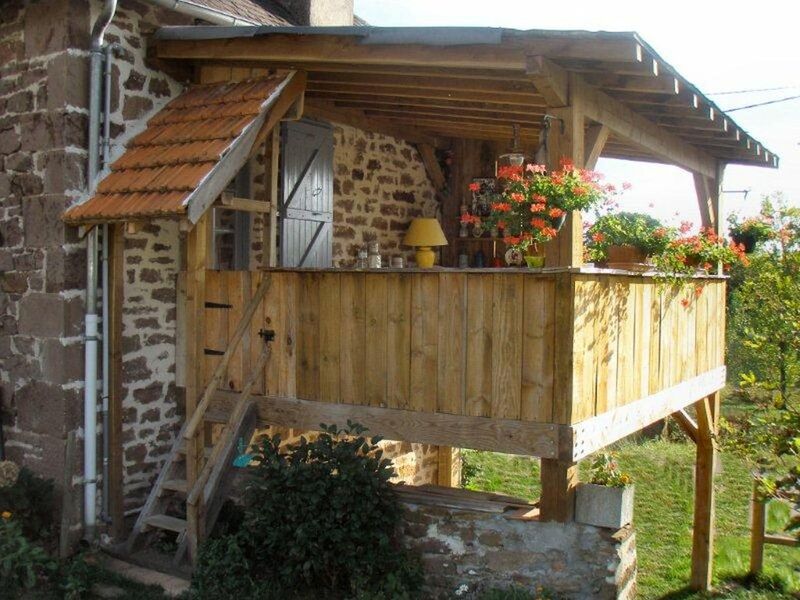 1 covered terrace on stilts 18 m2, 1 arbor in converted vine (Table and benches) Wooded ground, point of view. Bicycles, deckchairs, relax are available. Many hiking trails. es) Many sites to visit.